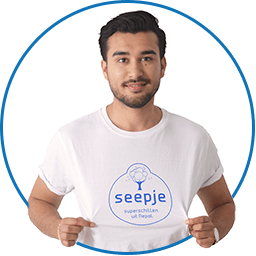 Seepje produces liquid detergents, all-purpose cleaners and dishwashing detergents from natural shells grown in India and Nepal. Seepje only uses the best environmental friendly ingredients and together we pay a fair price for these ingredients. Our mission? A cleaner and brighter world! It all started in March 2013, when Melvin and Jasper saw on television how the Nepalese produced natural soap from fruit shells. These Sapindus mukorossi fruit shells contain saponine, which is a natural form of soap that is released when the shells come in contact with water. Melvin and Jasper then established contact with Hari, a Nepalese farmer, and decided to scrape together their student loans to import a first batch of shells to the Netherlands. 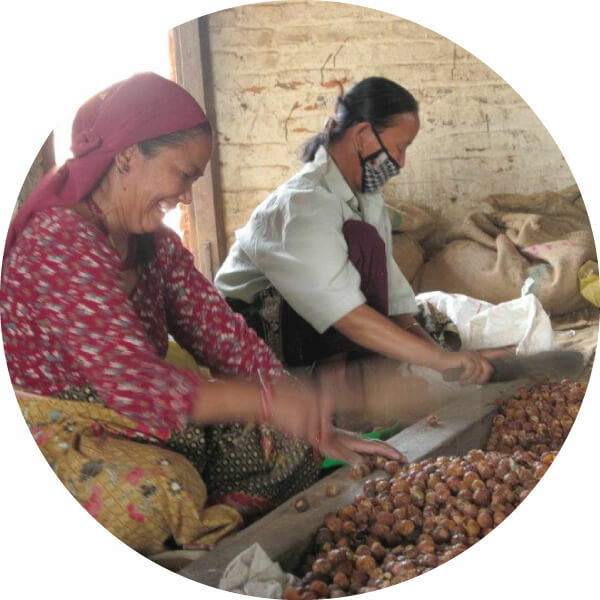 Their goal was to make people happy with a wonderful natural product and, at the same time, improve working and living conditions in Nepal! 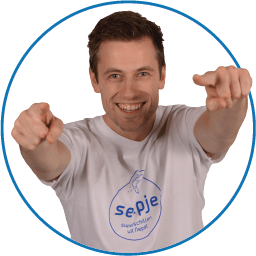 Currently, there are eleven different Seepje products available in over 1400 stores in the Netherlands and Belgium. To us, this is really important! 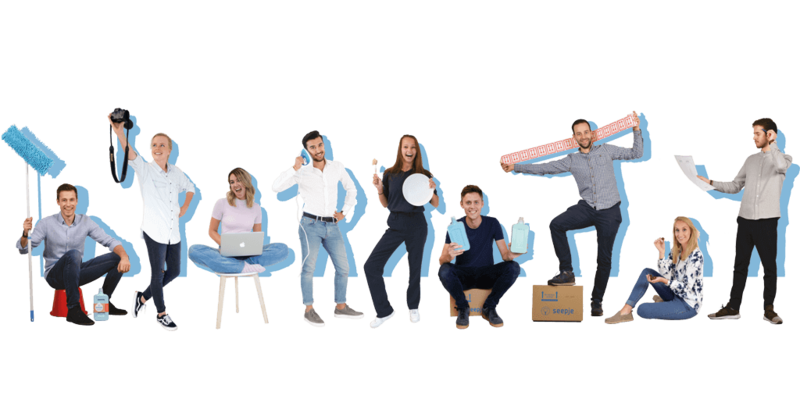 The more people using Seepje, the greater the impact we have on the working, living and natural environment. Let nature do your laundry and your cleaning! A cleaner and brighter world for all! We believe that everyone can benefit from our products. You, us, the retailers, the environment, the Himalayan farmers and our ‘champs’ in sheltered employment. 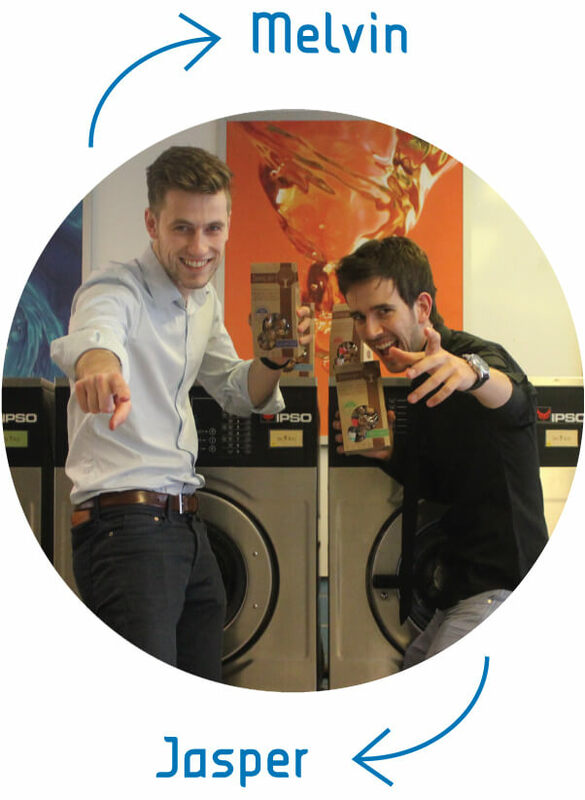 Together, we can make washing and cleaning fun again! 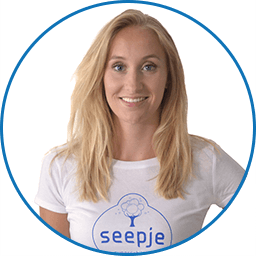 There are not many that can keep up with the many-sided Seepje-inbox… yet Melanie is there to answer all your questions about washing, cleaning, cooperation and PR! She is also in charge of the international market and maintains contact with our stores! 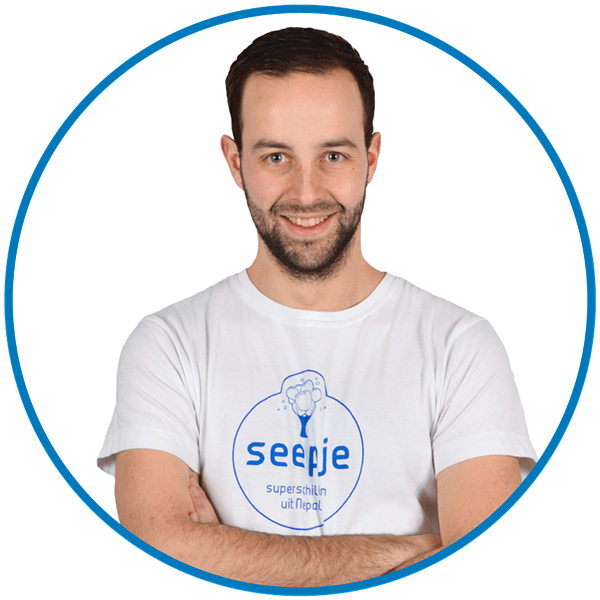 As cofounder of Seepje Jasper is the creative brain behind our brand and in charge of design, marketing and communication… More often than not he is out and about spreading the Seepje story. Always on the road…! Jasper is responsible for sales, cooperation and impact. When he is in town he prefers to sit with his laptop in a comfy deck chair. This creative creature even dreams of Seepje campaigns. 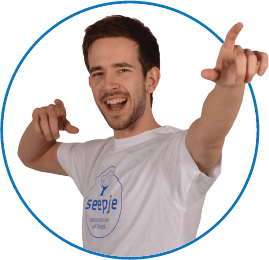 As Marketing Maniac he manages all our social channels to spread the Seepje story. Blog, email, Facebook or Instagram, he covers them all. Moreover, Harry is always ready to make us laugh! We can be found at Mercuriusweg 62 in The Hague. Please phone or email us for an appointment! You can also find us on Facebook, Instagram and Twitter. However, there’s more, this contact form leads you directly to our inbox. Response guaranteed!